Get your Words With Friends game on with the new Apple Watch update. If you’re one of those word game fiends that has a list of Words With Friends games as long as your arm, you now can actually use that long arm to wear your games on your wrist. Zynga just updated its hugely popular Words With Friends app to include Apple Watch features, so you never have to go another second without knowing when it’s your turn to spell “ZA” or “MUZJIKS” for the win. “As huge fans of Apple products we couldn’t resist the chance to bring Words With Friends to Apple’s most personal device yet,” wrote the general manager of Words With Friends, Vaibhav Sahgal, in a blog post. 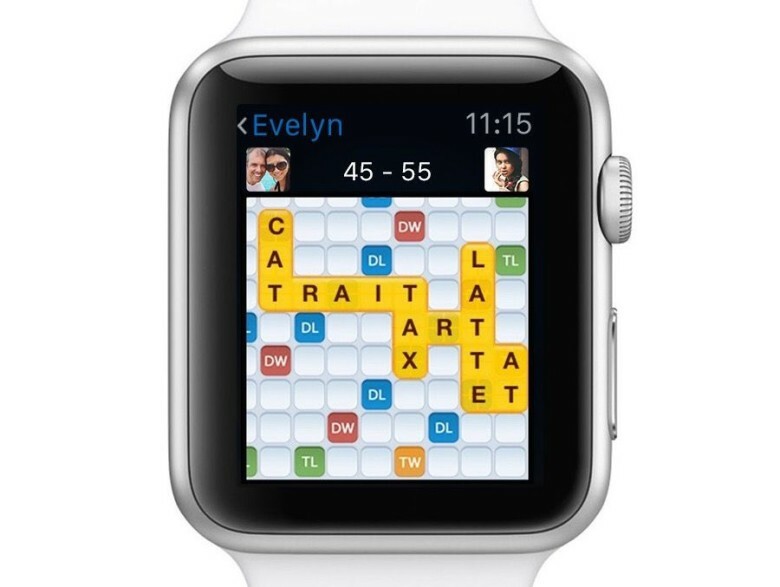 With the new update, Apple Watch fans will be able to track their games, view their WWF boards to strategize their next move, and even chat with opponents from their wrist. The app includes a Glance, which will let players see how many moves they have left, view notifications and pending chats, and expand their vocabulary with a Word of the Day tip. All in all, it’s a great way to stay engaged with your favorite word game without having to take your iPhone out of your pocket. It’s like stealth gaming on your wrist! You can download the free-to-play Words With Friends now; all current app owners will receive the update for free.